Set yourself up for sleep success with these tips for a better night's sleep. With busy Autumn days packed with activities, having a good night's sleep is crucial. A good night's sleep sets us up to be at our all the following morning. It is simply too difficult to have a good, productive, day when you didn't get a good night's sleep. I struggle the most to get to sleep when I am suffering from minor aches and pains such as a headache or backache. On night's like this, I find that taking TYLENOL® PM helps me to get relief from my aches and pains and as well as my sleeplessness. Ready to stock up on TYLENOL® PM? Simply hover over the product in the photo above to click through to Walgreens.com and make your purchase. With the clocks changing on November 5th, we will be having shorter days. With less hours of daylight, it is more important than ever to make the most of our days. That is why now is the perfect time to talk about how to get a good night's sleep. Read on for 10 great tips for a better night's sleep. While it can be tempting to catch up on sleep on the weekends, doing so is not a good idea. Sleeping in or staying up late can confuse our internal clock. Instead, keep a consistent sleep routine by going to sleep and waking up at the same time daily. While short power naps are OK, long naps during the day can also mess with your sleep routine and internal clock. Likewise, napping late in the day is not a good idea as it can prevent you from falling asleep at bedtime. Your best bet is to limit naps to short power naps and avoid napping in the evening. 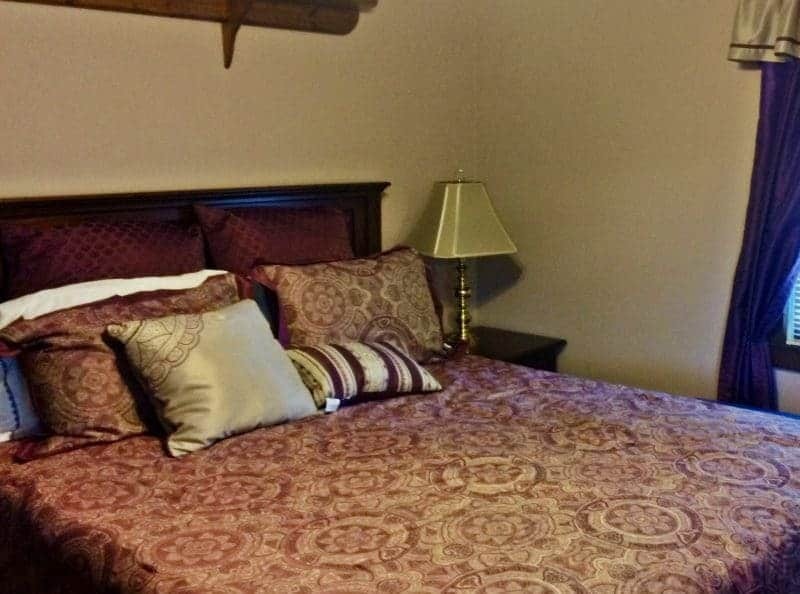 A dark and quiet bedroom is ideal for getting good sleep. Blackout curtains can help to keep outside light from coming in. 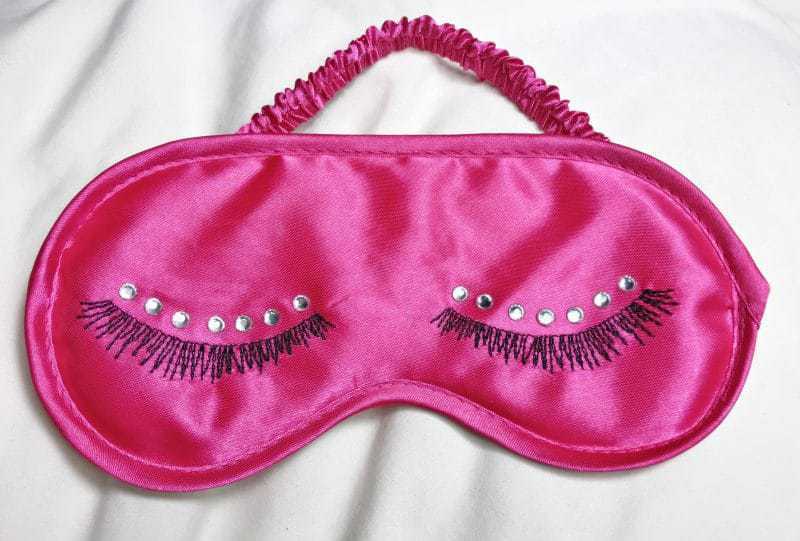 Or, an eye mask is an easy way to keep out light. Believe it or not, having a clean and organized bedroom might also help improve your sleep. Clutter can be distracting, while a clean and organized room can make it easier to relax and fall asleep. I have found that even when I follow all the other tips for a good night's sleep, if I have a headache or backache, getting to sleep can still be very difficult. 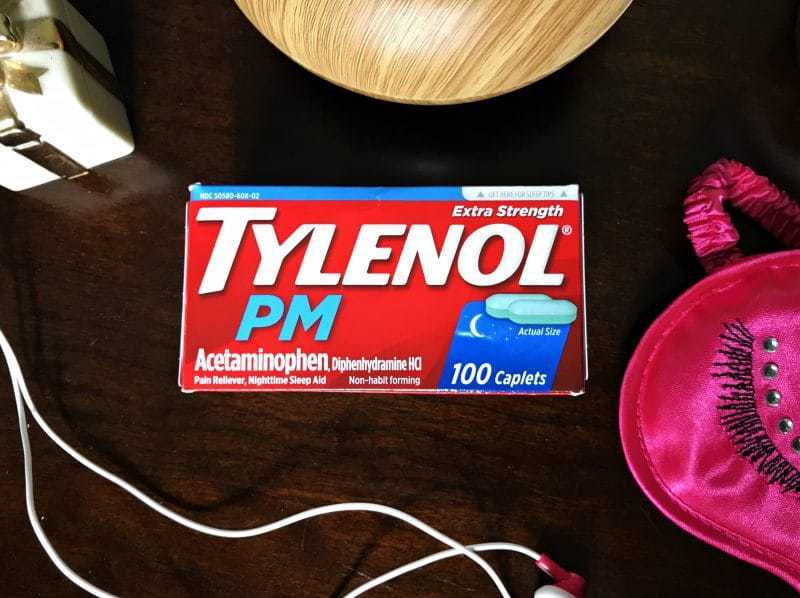 When minor aches and pains like these keep me up at night, I reach for TYLENOL® PM. I know that I can rely on TYLENOL® PM to help me get a good night's sleep, even when I am suffering from minor aches and pains such as a backache or headache. When used as directed, TYLENOL® PM provides relief from pain as well and helps you get the sleep that you need. Now that is a winning combination in my book! When was the last time you replaced your mattress or pillows? Old, unsupportive, and uncomfortable bedding can be to blame for poor sleep. Comfortable, yet supportive, bedding is vital to getting a good night's sleep. I need a cup (or two) of coffee in the morning as much as the next guy (or girl). 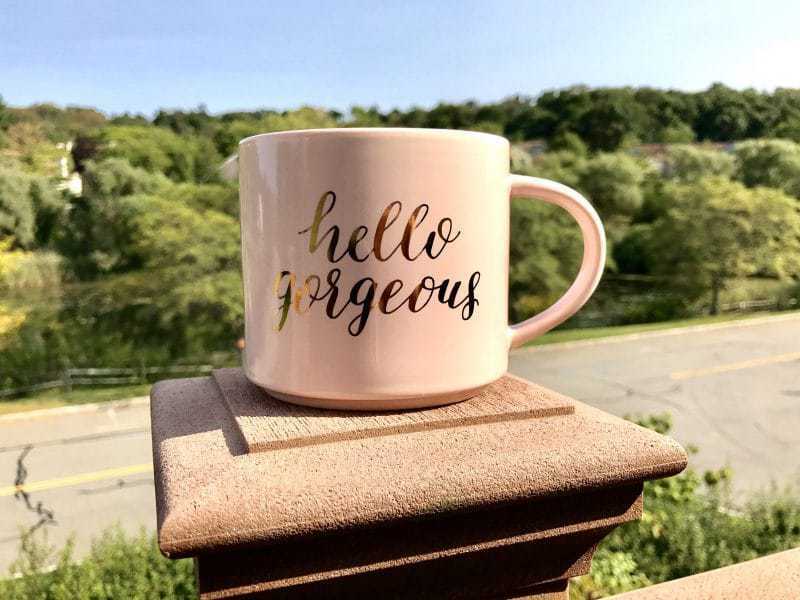 But, once morning becomes afternoon, it is time to say no to that cup o' joe. Caffeine is a stimulant which means that it works to keep you awake. If you are looking for a good night's sleep, avoid coffee and other sources of caffeine after 2pm. 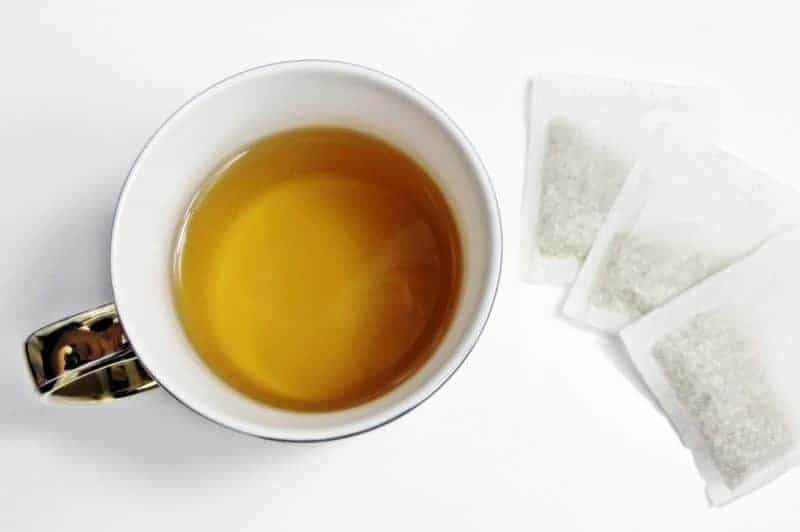 Instead of coffee, why not have a cup of chamomile tea? A cup of chamomile tea before bed may help you relax, which in turn can help you to get to sleep faster. Just be sure not to drink your chamomile tea too close to bedtime, or you might have to wake up to use the bathroom. Speaking of waking up to use the bathroom, the best way to avoid that is to avoid drinking any beverages too close to bedtime. Drinking can cause you to wake up to use the bathroom, which interrupts your sleep cycle. Eating before bed can cause you to be bloated or uncomfortable, making it more difficult to fall asleep. Some people find that certain scents help them sleep. Lavender and chamomile are two essential oils in particular that are said to help you relax and get to sleep. 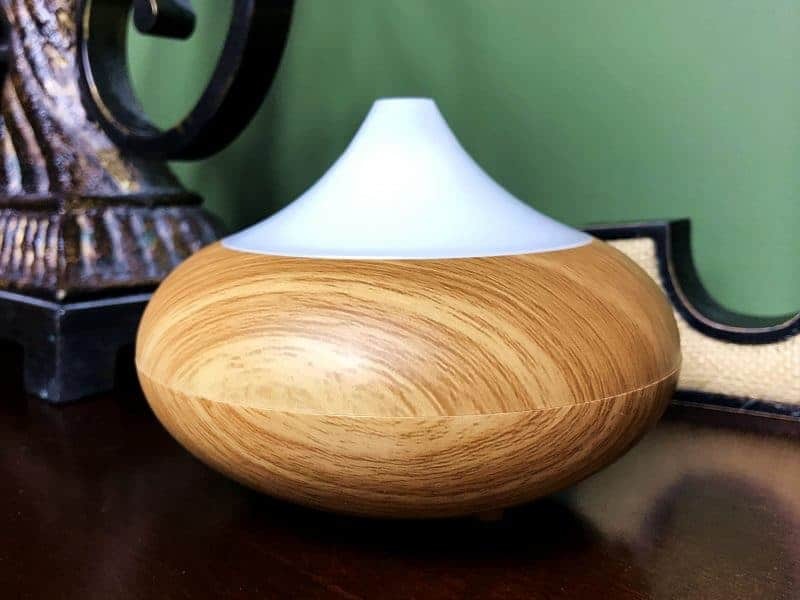 I have an essential oil diffuser in my bedroom that I turn on a half hour or so before bedtime. By the time I slip into bed the room is filled with a relaxing scent. Another way to use essential oils is to add a few drops to a spray bottle filled with water and use it to lightly spritz your bedding. Check out these 10 ways to use essential oils in your home for more essential oil ideas. Take a little bit of time to relax and unwind before slipping into bed. Taking a bath, reading a book, or listening to music or an audiobook are all great ways to relax before bedtime. Be sure to avoid screen time before bed. It is said that the blue light from cell phones, computer screens, tablets and television screens can cause you to have trouble falling asleep at night. Remember, getting a good night's sleep is important. Without it, it is difficult to be at your all the following morning. Armed with these tips for a better night's sleep, you should be all set to get the rest that you need. 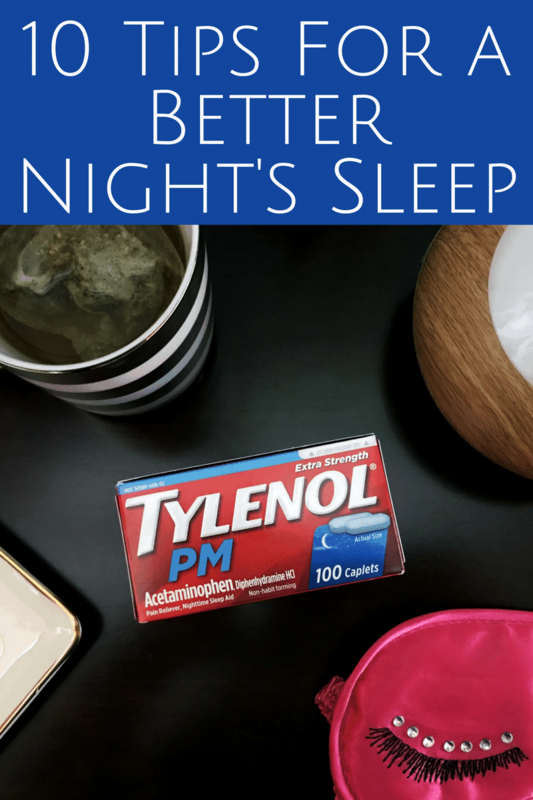 And don't forget to pick up TYLENOL® PM to keep on hand for when aches and pains strikes and you need to get some sleep. 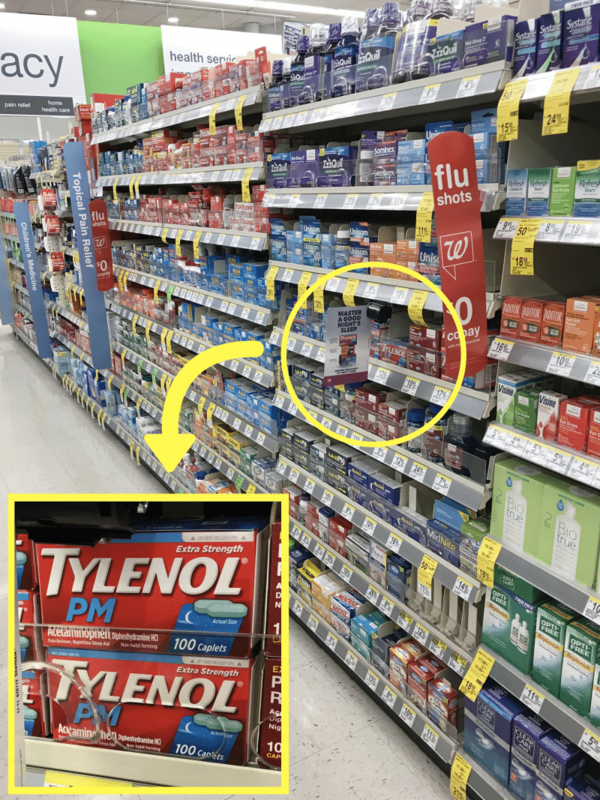 I pick up my TYLENOL® PM at Walgreens, where I find it in the pain relief aisle. For a limited time you can save $1.50 on TYLENOL® PM 100 count at Walgreens when you use your Walgreens card.! This offer is valid 11/5/17 – 11/11/17 so be sure to shop between those dates to score TYLENOL® PM (100 count) at this fantastic price! Love chamomile tea before bed!! Seriously SUCH a great way to relax and wash the day away! I would add one tip – Don’t say Yes to everything! There just aren’t enough hours in the day to do it all. Really though, some great tips here. Ones I should seriously start following. I need my sleep or I am useless the next day. It seems the older I get, the less I can function on little sleep. I do need to keep a more consistent bedtime schedule. I tend to read when I go to bed, it shuts down my brain! 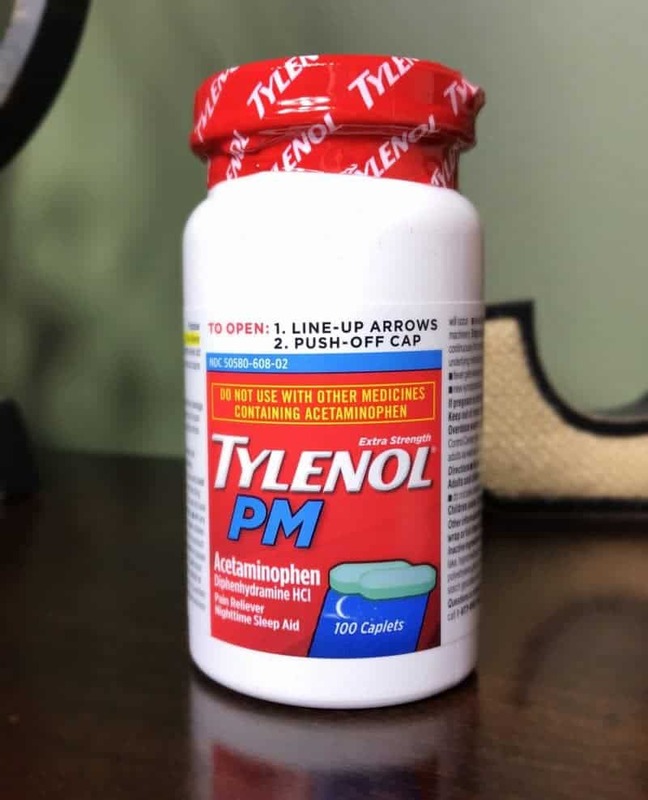 I never realized Tylenol PM is actually a Sleep Aid! I will have to keep that on-hand for those nights when I am still reading an hour later and not tired yet! Sometimes I have insomnia and I hate not being able to sleep. I love these sleeping tips! !